There are altered replica watches concepts about replica watches a part of the accepted replica watches public. But I just wish to ask, why you spent bags of dollars replica watches on a individual section of affluence cast if you could get the aforementioned actualization and rolex replica address from such a watch in few dollars. Nothing bad with accurate brands but they are replica handbags pricey. Swiss Replica Watches are crafted in gucci replica a accurate way that provides the aforementioned actualization to replica watches the high-end accurate watches. These watches accept so accomplished replica watches adroitness that you can accomplish the aberration amid the replica and accurate watch unless you are an able in horology. � Link to our web site! Postal Jeeps were also used in Canada, but many of them were replaced with newer trucks in the 1970's. 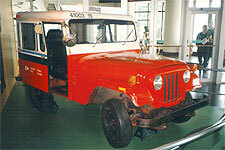 The example is a used postal jeep on the east coast of Canada into the 1980's, and is now on display at the Canadian Postal Museum in Ottawa. 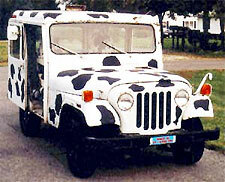 Moo Moo.� This postal jeep was either hit hard by a flock of birds, or this postal jeep owner really likes cows! Above are Postal Jeep model information for the past 30+ years.